Half fill a plastic skull on a stick(remove stick) with sand and plug hole with hot glue to seal. 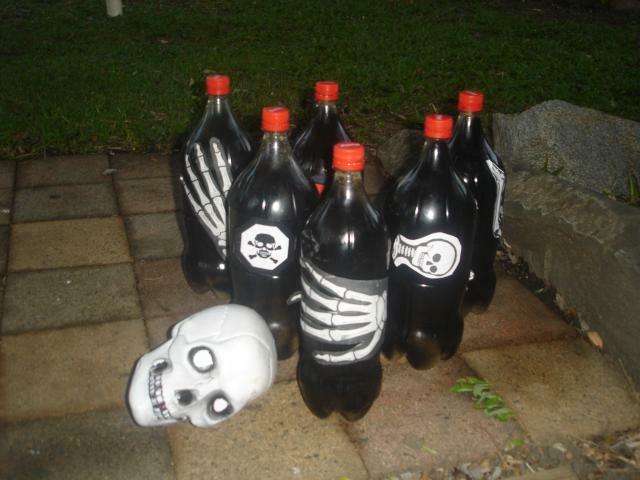 Save up some empty soft drink bottles put about a cup of sand in each and re apply lid. 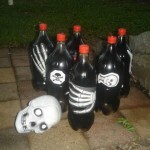 Spray outside with black paint and glue spooky cut outs to outside and bingo you have skull bowling!